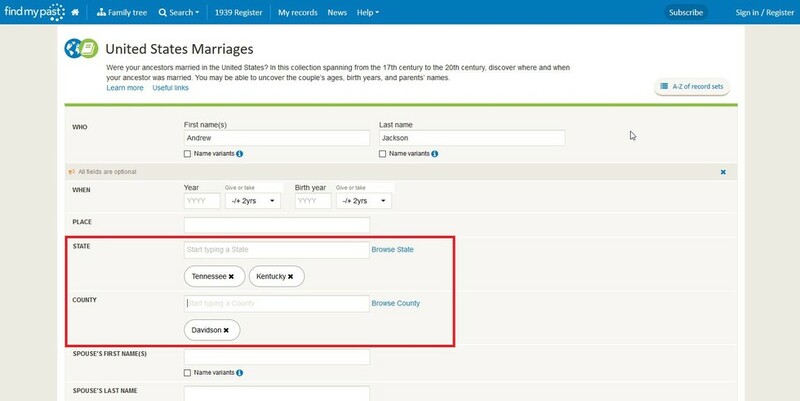 Findmypast's United States Marriage Collection includes over 100 million marriage records - many of which have never been indexed and available online. The first batch hit the site in February 2016 and contained a total of 33 million records. Once all is said and done, we'll have all states except South Dakota represented in the 100 million plus records. We expect approximately 450 million names in total to be included. How do I access these records? The first thing you need to do is register at Findmypast (no bank details required) and import your family tree. This is a very important step - because we'll be adding more records to our marriage collection over time, so you'll want to stay updated. When you add new additions to your family tree, our "hints" program automatically scans these records for names in your family tree. If you don't find anything this time around, you'll get an automatic notice when one of your ancestors has been added - but only if your family tree is on Findmypast. Depending on how common the last name is, you may see a large volume of search returns. That's certainly the case for the 7th President. Here, you'll be able to filter the results to get extremely specific. We recommend entering the state, county and approximate year (if you aren't sure, use the "give or take" drop-down menu to select a nice broad range). 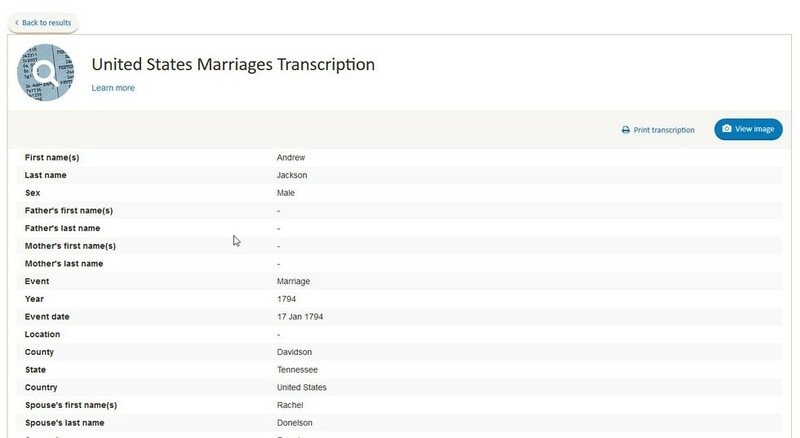 At the bottom of the transcription, you'll see an option to attach the record to your family tree. Make sure to do this so your hard work is preserved. You'll be able to choose which family tree you attach it to, and search for the specific ancestor to associate with it. You can then easily find the record by looking at your family tree instead of trying to replicate your searches. As you can see in the image above, there's even more information than just this list. And this is what makes these records so significant - aside from memorialising a significant occasion, these records provide a wealth of genealogical information. 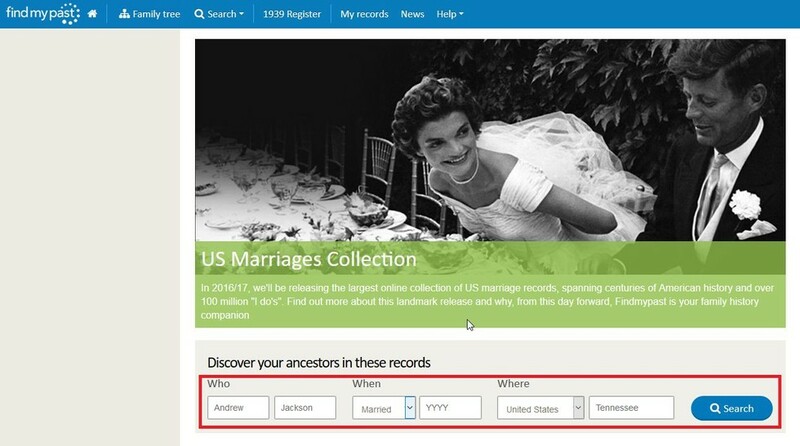 Once you have this information, you'll be able to use newly discovered information - birth year, birth location or parent's names, for example - to search our other U.S. records and further chart your family's course through history. 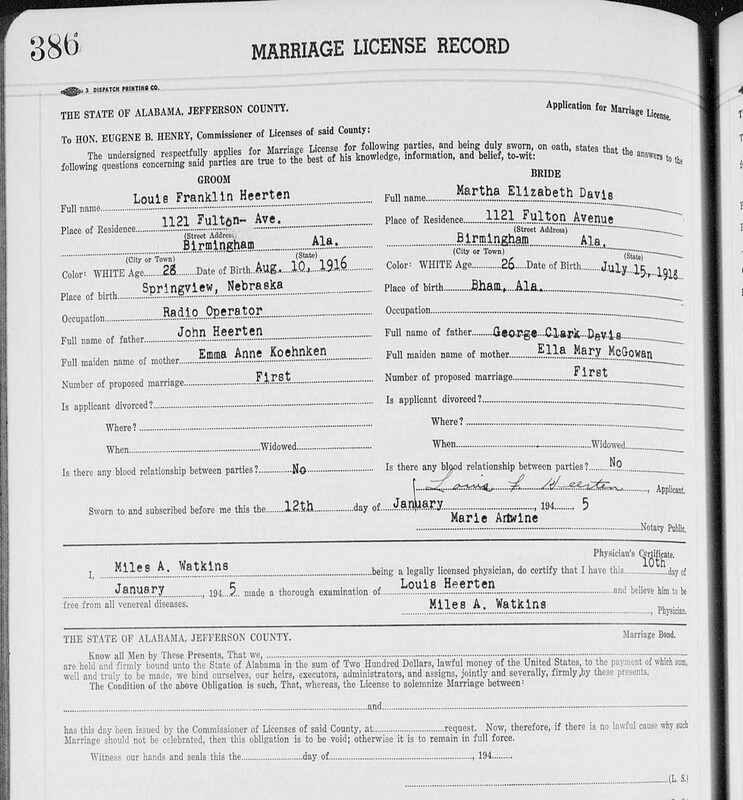 Information found in these marriage records could also be key to tracing your heritage beyond America. If you have ancestry from Britain or Ireland, our UK records will be vital to tracing your family's history further back than ever before. We hope this guide has helped you in your initial searching - remember, if you didn't find anything today, we're releasing more records in this set in the coming months and we're confident your family will be included once the set is complete.